Enterprise Secure Chat (ESChat) by SLA Corp was one of the first players in push-to-talk solutions and has since maintained a leading position in both market share and innovation across all industries. As a FirstNet Certified app, ESChat meets FirstNet’s and the First Responder Network Authorities’ highest levels of credibility in the categories of public safety relevancy, security, data privacy, availability, resiliency and scalability. ESChat now offers an emergency call option which can be triggered through the AINA Wireless Voice Responder or Smart Button. 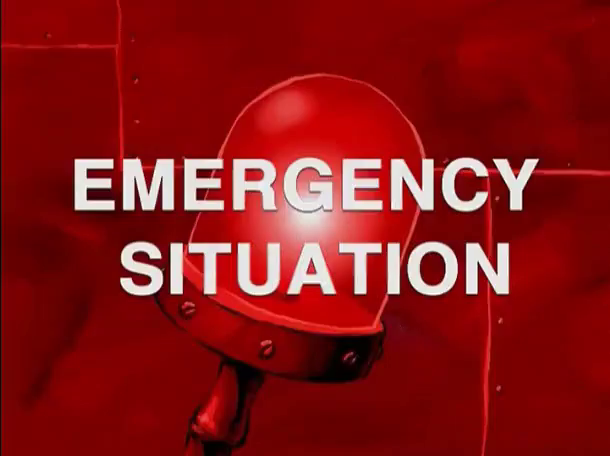 Whether you work in public safety, utilities, transportation and logistics or even if hospitality, you need a way to arm your workforce with a simple, easy way to provide an emergency alert in situations of distress. For first responders this is a crucial requirement as it is not acceptable for an officer in distress (e.g. an officer down situation) to be mandated to unlock their phone and change parameters in an app rather than pressing a panic button. There are a few simple steps that you need to take in order to start using ESChat’s emergency call feature with your group or team. 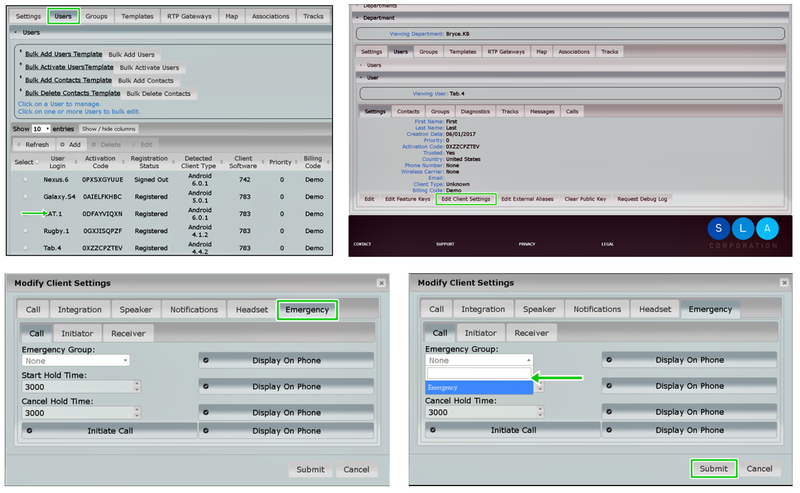 To make an emergency call with ESChat, you must first designate an existing group as your emergency group and then modify each users’ settings so that their devices indicate that they may make an emergency call. After this, the user can use the feature with their device and PTT Voice Responder or PTT Smart Button. Once these preferences are submitted, you will see that the devices have been modified to indicate that they can make an emergency call. 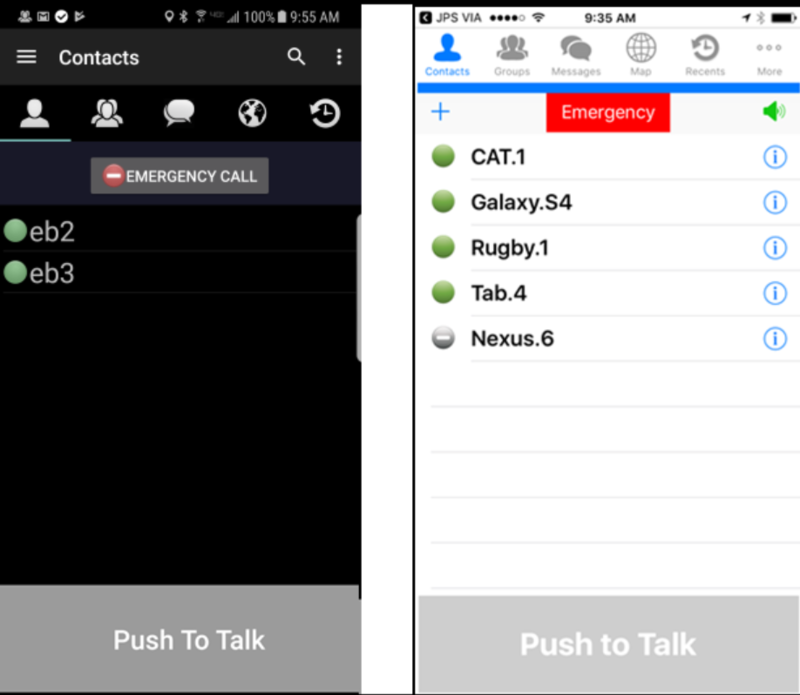 First, confirm that the emergency call feature is enabled on your phone or tablet by selecting the ESChat application and seeing the new emergency call feature at the top of the screen. Once you have paired your PTT Voice Responder or PTT Smart Button to your phone and ESChat application you can start using the emergency call feature by simply pressing down the red emergency button on your device for three seconds. Your PTT call will then get a higher level in the priority list and override existing PTT calls with a lower priority to enroll required emergency resources in an emergency call. If you would like to end an emergency call as an initiator or a receiver, you must hold down the cancel button on your phone or tablet’s screen for three seconds, to end the call. Contact us with any questions about the benefits of emergency calls and AINA’s Wireless PTT Accessories.